These blueberry muffins using sour cream are deliciously light, perfect with a cup of something hot on these cool winter days, and equally perfect with a glass of lemon and mint fizz in the balmy afternoons of summer when blueberries are at their height. I used frozen blueberries which worked perfectly and are an economical choice for when they are out of season. I think this recipe base would also cater perfectly for white chocolate chips and raspberries, my favourite muffin combination. While whisking add oil in a thin stream. Cook for 15-20 minutes until golden and a skewer comes out clean. Makes 12 muffins. Preparation time 10 minutes. Cooking time 15-20 minutes. Ooooh! 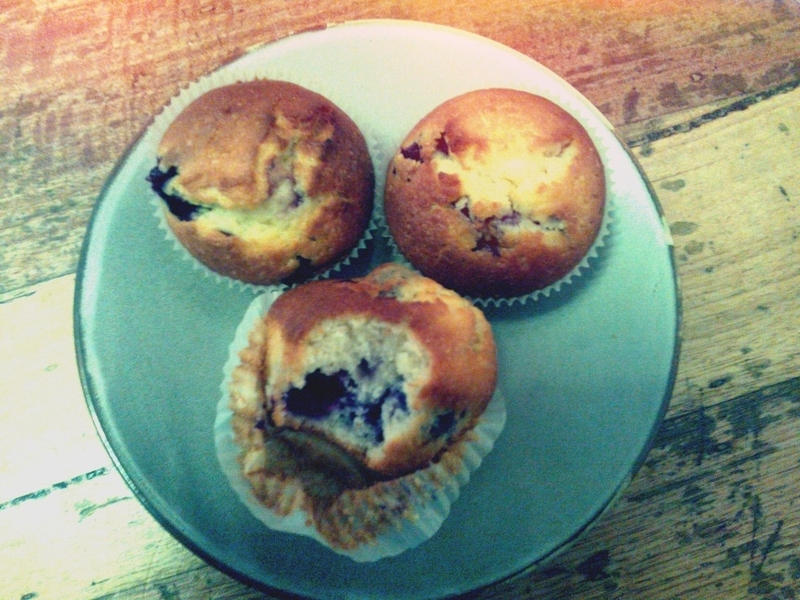 My oh my, I love blueberry muffins! I'm going to Pin this and try it with the kids one day. Nom! So do I :D It's a great recipe to make with the kiddies as it is so easy :D Thanks for stopping by! Thank-you Miz Helen and no worries :D Thanks for stopping by!